Nablus. Palestinian Territories. 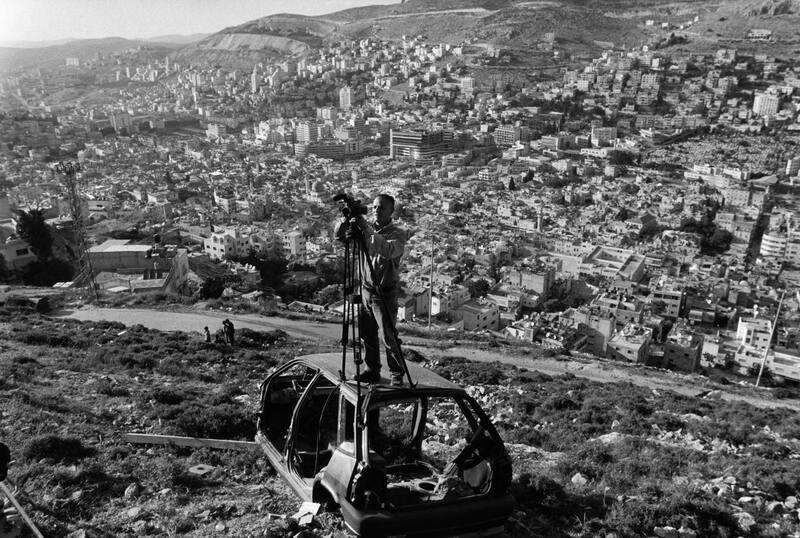 2004 A video cameraman filming the making of "Paradise Now" during filming on the hills overlooking Nablus.